Our Rakhi Recipes section contains a variety of traditional Rakhi recipes. The festival of Rakhi celebrates the immortal bond between a brother and sister. Rakhi is also known as Raksha Bandhan. Celebrate Rakhi along with some delicious food. 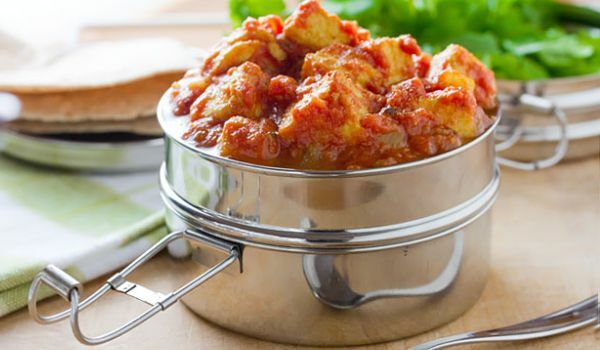 Try our easy recipes for Rakhi. 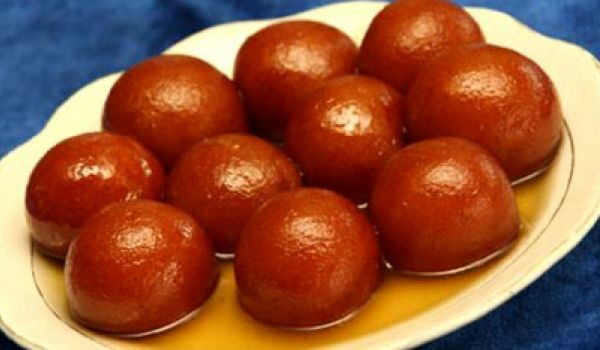 Gulab Jamun is one of those sweet dishes which has a huge fan following and the number is always on the rise. These scarlet colored balls tastes best when prepared at home and the recipe is not at all complicated. All-purpose flour, soda powder, ghee, milk, sugar and rose water if you like the flavor. That's it! Wondering what to do with left-over bread at home? Well, move over boring bread butter. 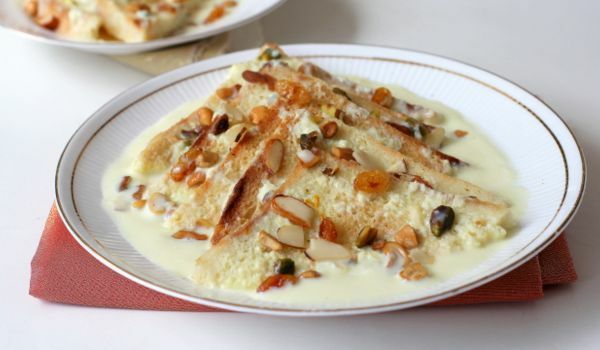 Instead, welcome the Indian style pudding with milk, bread and sugar that you would want to keep eating and keep eating. 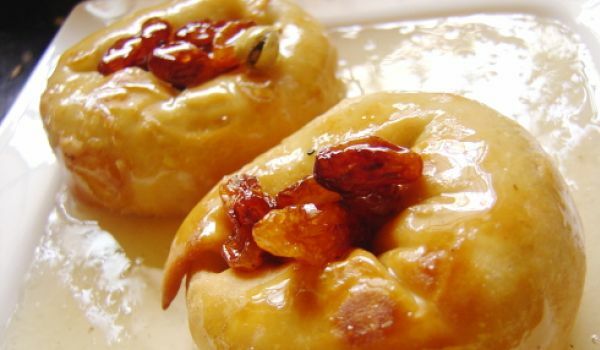 Famous in India and its neighbouring countries, balushahis are sweets made with maida which are molded in the doughnut shapes and deep fried in ghee. 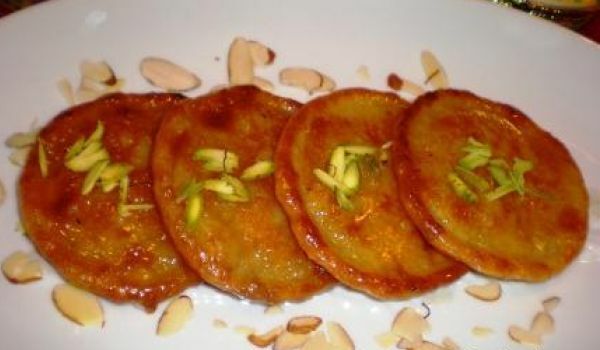 These fried balushahis are then dipped in sugar syrup to bring in that sweetness which completes the dessert. Sounds easy, isn't it? Now you can try and make some for your dear ones. 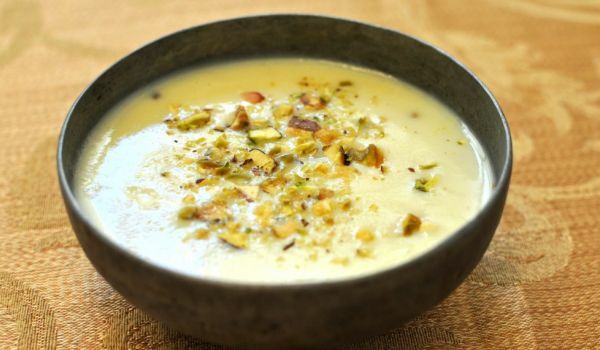 A Punjabi dessert made with rice and milk, Phirni has a cream-like texture. 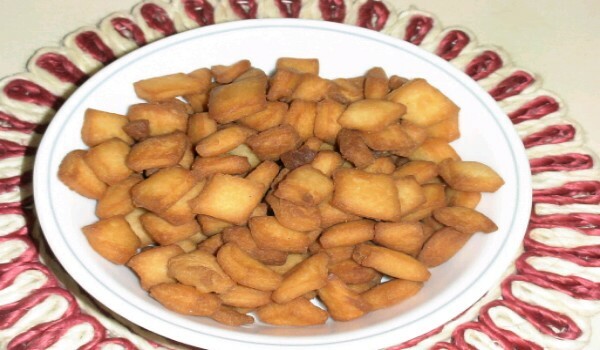 It is served during the festivities in a clay-container. 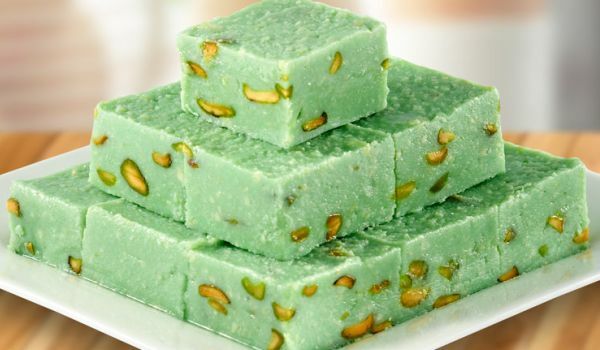 The cardamom-flavored sweet is garnished with pistachio nuts and saffron. 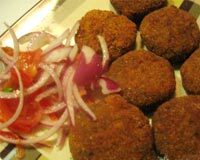 Banana Cutlet is very nutritious recipe. Learn how to make/prepare Banana Cutlet by following this easy recipe. Simple ingredients such as all-purpose flour, milk, sugar and baking powder combine to make this all-time favorite dessert malpua. This is made during Paush Sankranti which celebrates the harvest season, as well as decorates the platter during Bhai Dooj, Diwali and the like. If you have not tried it yet, do not wait! And believe, you do not need an occasion to make malpuas. A simple concoction of milk sugar and curd, the Misti Doi is as good as any other Bengali sweet and is imperatively part of their festivals. 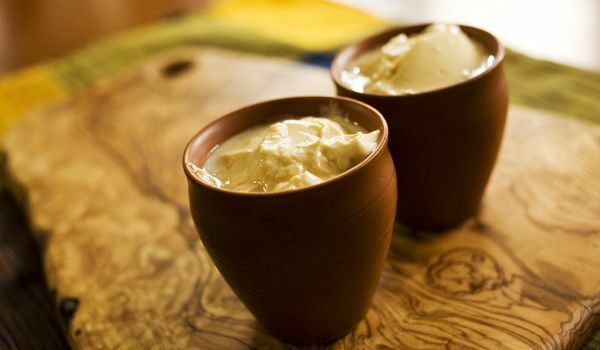 Served in a cool clay pot, this curd like sweet is perfect after any meal. Kaju burfis have been winning tummies and hearts for ages now. But sometimes, it isn't really a bad idea to slightly take a traditional recipe into your own hands and twist it around a little bit and make something equally delicious. 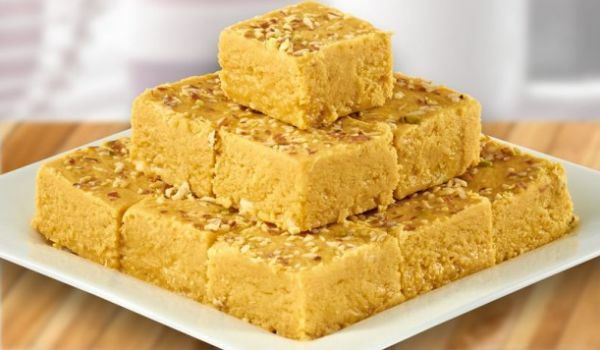 So here's how you can make the same delectable burfi using pistas instead of cashews. The city of Mysore is known for its zoo, royal palaces and of course the Mysore Pak. 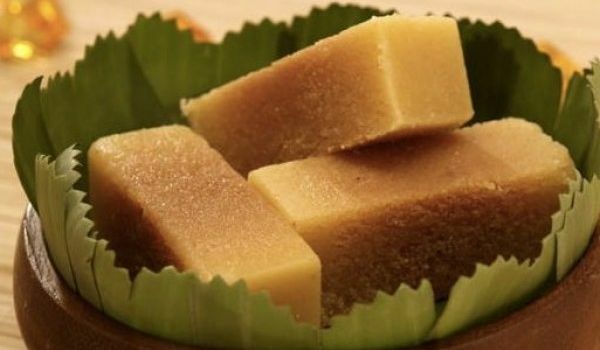 But, you don't need to travel to Mysore or scour sweet shops across your town to look for this delicious sweet. 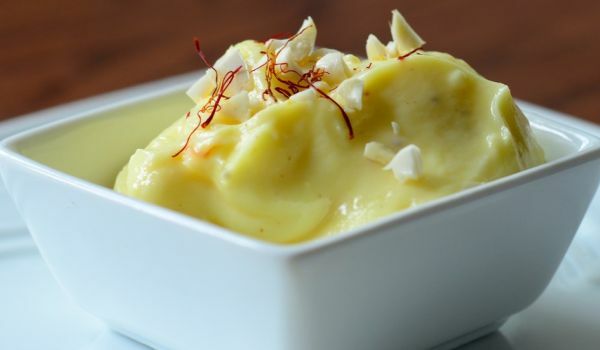 Why don't you try making this easy-to-whip-up dessert loaded with ghee? 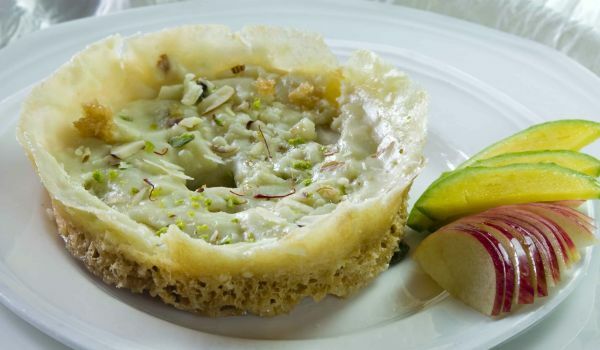 Anything mixed with this luscious island fruit is bound to be a pleasure and this Indian desert emanates just that feeling from any taker when one indulges in its mouth watering sweetness. 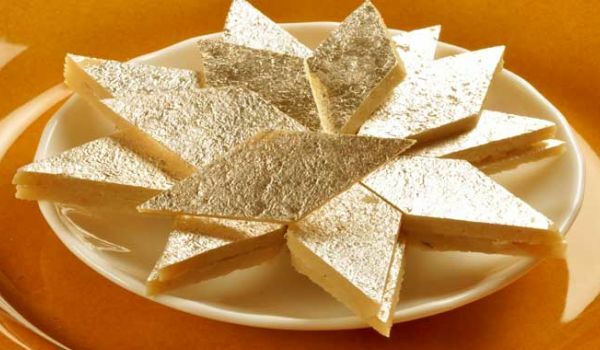 The festival of Diwali is incomplete without crackers, guests and sweets. 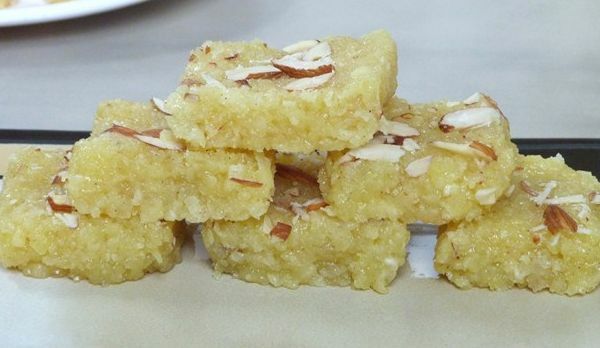 The Badam Katli is a popular sweet filled with goodness of almonds and milk prepared during the festive occasions of Diwali and Rakhi or weddings. 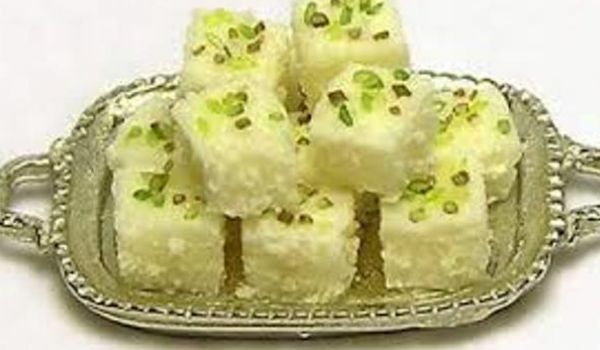 Badhusha is a south Indian sweet dish made of flour and sugar. 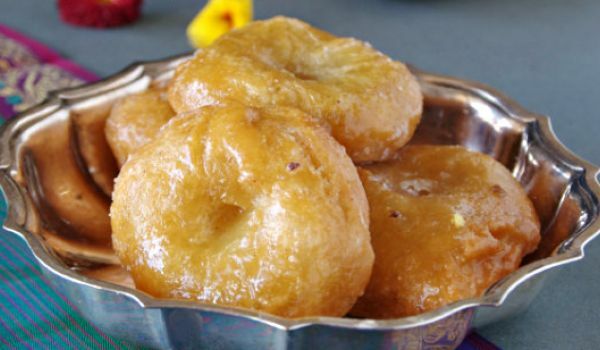 Learn how to make/prepare badusha by following this easy recipe. Carrot kheer is an easy sweet dessert recipe you can make for any occasion or whenever you want to pamper yourself. 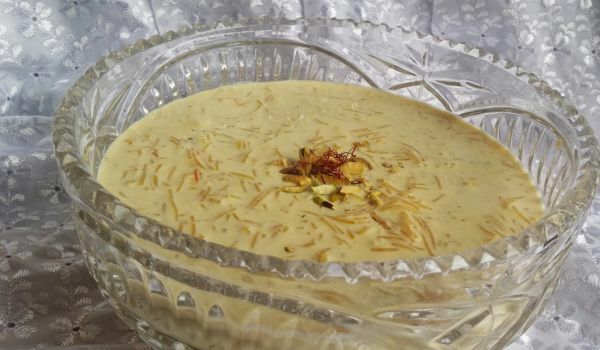 A festive dessert, the kheer is both delectable and healthy, but ones tends to eat more than the limit because of its addictive taste. 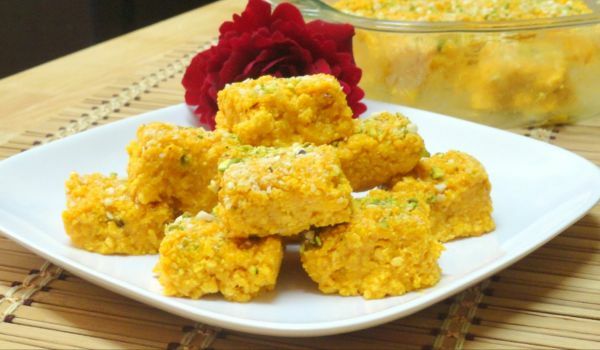 This easy to make yet enjoyable snack is popular in Western India during the season of Diwali. 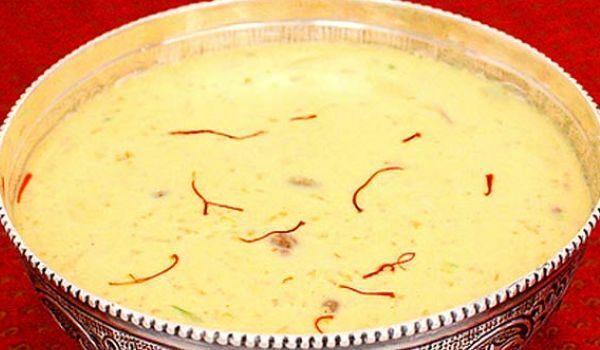 Made in several ways, the simple concoction of milk, sugar and ghee is the most delectable. 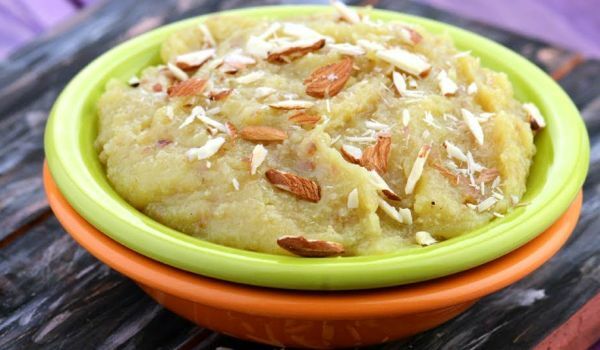 If you love coconuts then be sure to try kopra pak as this is made with desiccated coconut and sugar which guarantees that the taste and texture of coconut will be retained. 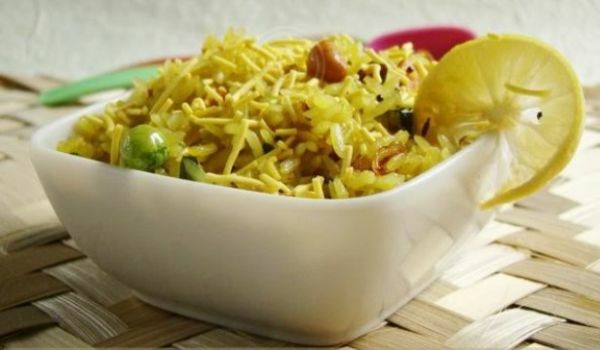 Its recipe is as easy as easy can be, and you can also use some dry fruits for garnishing. 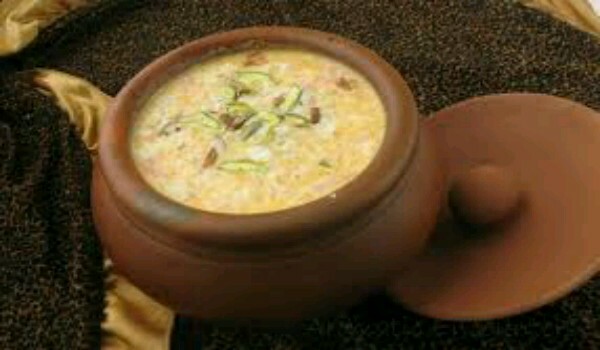 Dry Fruit Kheer is a delicious and nutritious dessert. 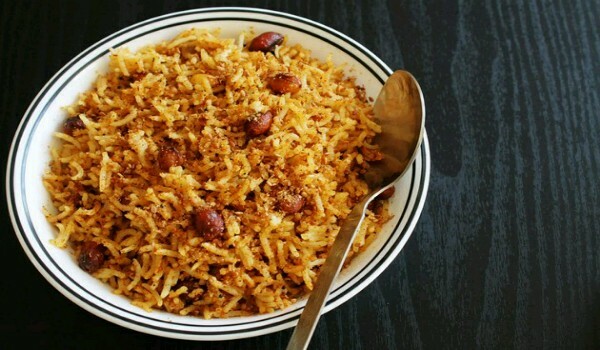 Learn how to make/prepare Dry Fruit Khir by following this easy recipe.